If I'm being completely honest, I only bought these because they were small, compact, and would pack better for my longer trips to New York instead of bringing a bunch of mini bottles. 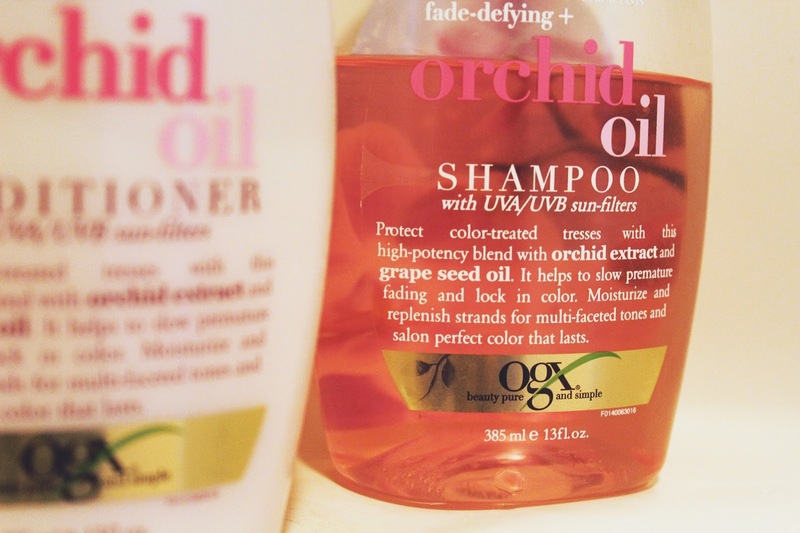 I've used OGX products in the past, but it's been a while since I've used their shampoo and conditioner duos. I also was, admittedly, drawn to this set because of the color and the smell. At the time I purchased this, I hadn't had my hair colored in about six months and didn't have another appointment scheduled, but I figured that it wouldn't be the worst thing in the world to be more proactive about my color fading whenever I did get it done. This smells as divine as you would expect an orchid scented product to smell. I love the packaging of all of the OGX products. I mean, they also look really great in a shower purely for aesthetic purposes as well. This duo is meant to moisturize and replenish hair so it slows down fading of color-treated hair. I just had my hair done a few weeks ago and as I am a big fan of the color, I would like to keep it around for as long as possible. I also love that this has moisturizing products too, as my hair can get pretty dry after I bleach it. It didn't happen as much this time because I believe we didn't use the same bleach as we have in the past or something of the sort. Don't get me wrong, I'm still a massive PSL fan. I will be a PSL lover until the day I die. However, when the Chestnut Praline Latte comes out to play, man oh man, do I continue to thrive. It's a lot less sweet than the PSL in my opinion (I had to start ordering the PSL with only half of the syrup) and feels like a hug in the cup. I'm not ready to celebrate Christmas yet, as I refuse to celebrate before my favorite holidays: my birthday and Christmas. 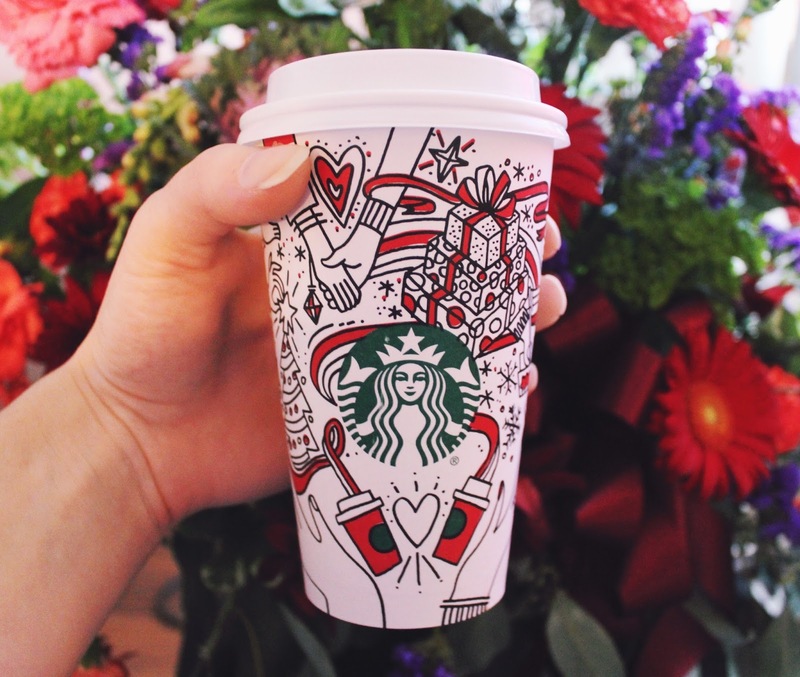 However, when the time comes, this drink is Christmas in a cup without having to choke down a Peppermint Mocha (unpopular opinion: I don't like the Peppermint Mochas, I'm sorry). I'm not sure what possessed me to watch this movie the other night. It was probably the announcement of the newest theme for the 2018 Met Gala. Or perhaps it was the lack of YouTube videos to watch when I wanted to have something on in the background while I planned out fashion content for the blog. Regardless of the reason I put the movie, I ended up being completely engrossed. I have my own opinions about Anna Wintour that I won't drag into this, but the movie itself was great. But also...really stressful. I was full on sweating and biting my nails during the planning process, especially when it came down to the last second details. And also, you know, not having anything set up less than 48 hours before the event. I appreciate a good movie that stresses me out, but man oh man, I was not expecting to have to pause that many times to catch my breath. All jokes aside, if you're a fan of fashion and are like me and managed not to see this movie when it first came out in spring of 2016, head over to Netflix or your favorite streaming site and give it a watch. 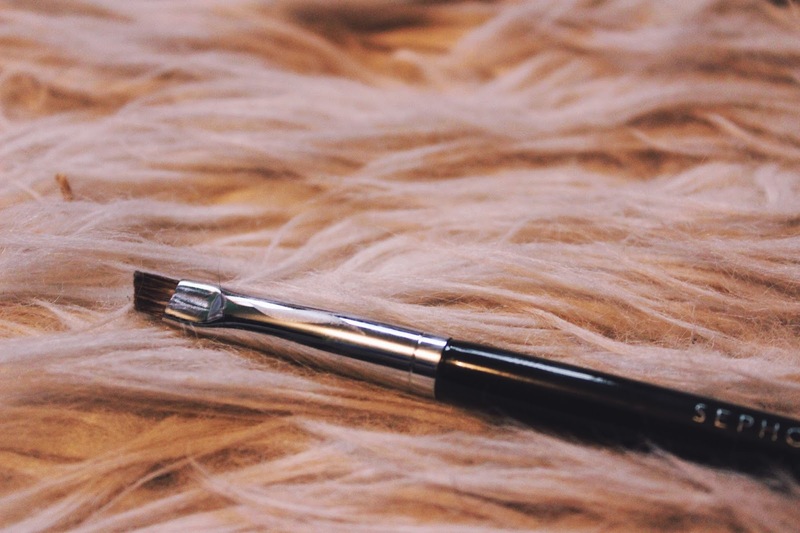 When I'm packing my makeup bag, I make the same mistake time and time again: I forget to pack my mini angled brush that I use for both my eyebrows and to set my eyeliner to ensure all-day wear. My brows and my eyeliner are the two more important aspects of my life, so trying to do anything without them is such an issue. I didn't even last a day without the tiny brush when I forgot it my first trip to New York for the Harry Styles show. My friend and I ended up going to Sephora on the first day and I tried to find the cheapest option that wouldn't be completely terrible. My favorite thing about the brush that I have is that it is so small. 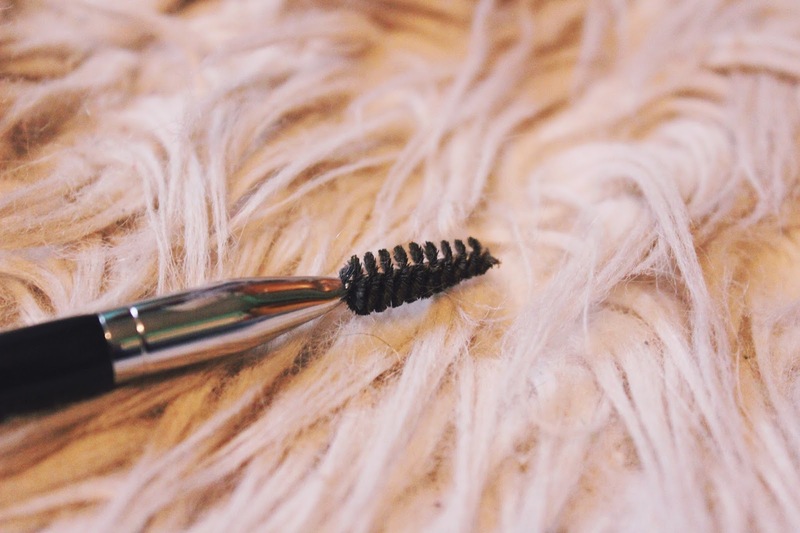 It is so precise and allows me to use really small and thin strokes to fill in the sparse areas of my brows (i.e. the tails) and perfectly set my eyeliner no matter how thin it is. This Sephora brush is a little bit bigger than I'm used to and doesn't work perfectly to set my eyeliner. However, I was really surprised how much I loved doing my brows with it, especially since it's at least double the thickness of the other brush that I use. 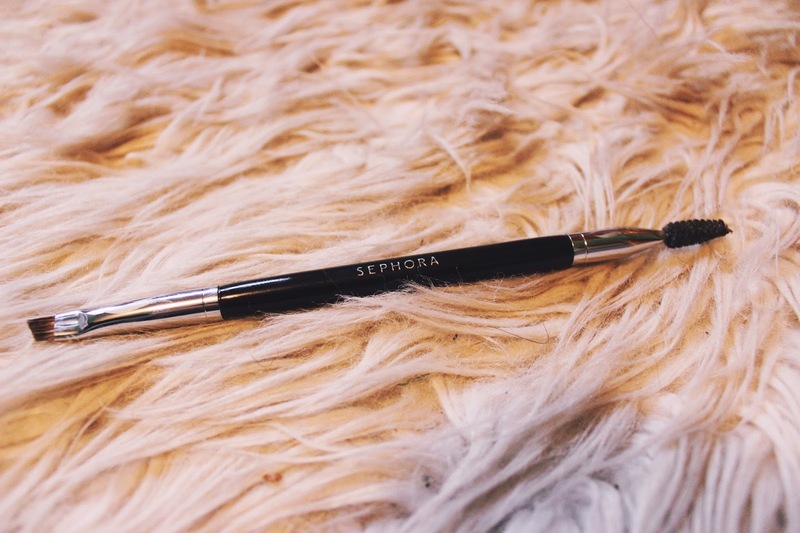 It's double-ended, so it has a really nice and sturdy spoolie that brushes through my brows really well before I lightly fill in the areas that need a little help. I also like how dense it is so you don't have to dip into the brow powder or eyeshadow one thousand times to get it pigmented enough. You obviously want to tap some off so you're not drawing in a super harsh line, but it's nice to not have to go over the same area a dozen times just to get it to look like there's something there.